This charming, 7500 square foot wine country residence consists of a grouping of buildings to create the feel of an Italian hamlet. The main residence, guest house, caretaker’s cottage and media center encircle the motor court in a pinwheel shape, creating an intimate, private setting for the family. 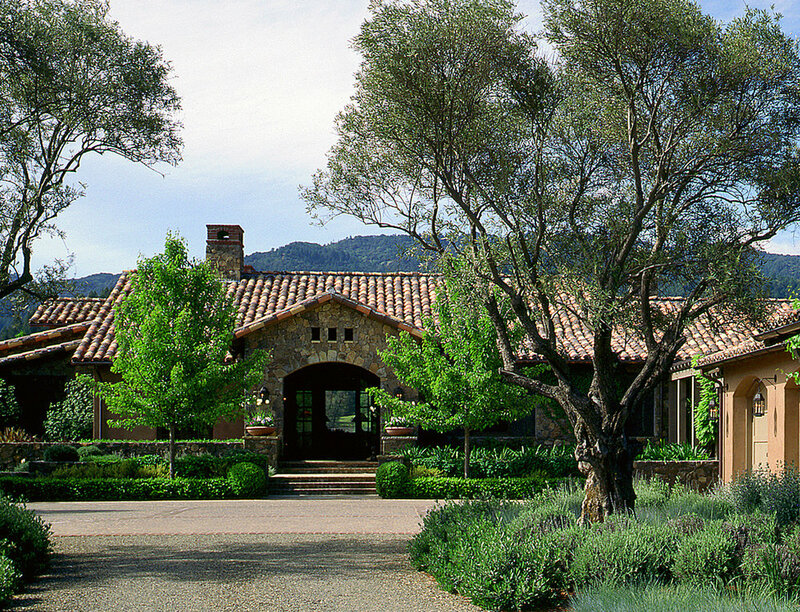 With the use of rustic materials such as field stones, terra cotta tile and plaster, the buildings seem to nestle into the Napa country side. The property supports a large working olive orchard which also conceal it from the surrounding lands. In the back, the focus is a long stone based arbor with a dining pergola at the end and a pool that reflects the vineyards and hills in the background. The furnishings are an eclectic mix of antiques and traditional pieces assembled to give the effect of years of collecting rather than months of decorating. The main room is large with very high ceilings and the decorative elements are over-scaled as well. The Kitchen opens into the Living Room as does the Dining Room with it’s stone walls. 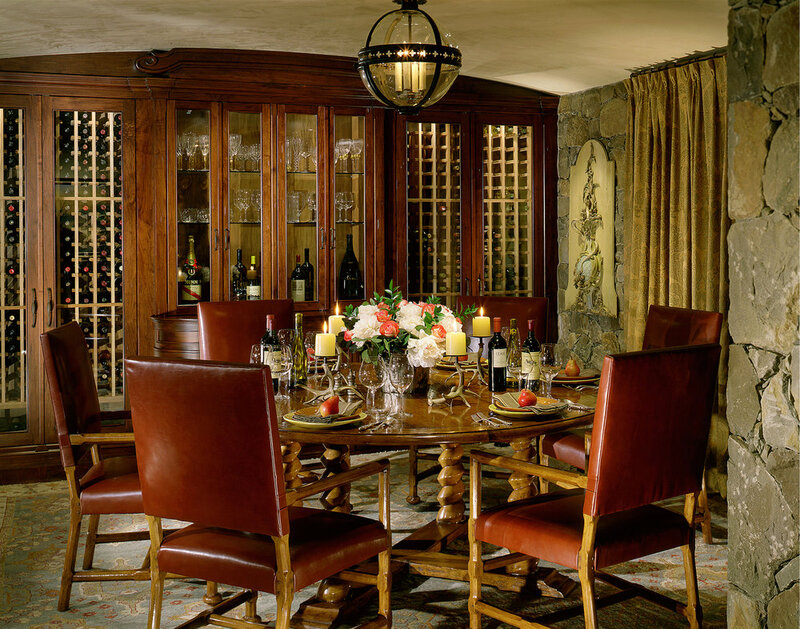 The wine cellar is built into the wall of the Dining Room to create ambience and add a contrast to the texture of the stone. 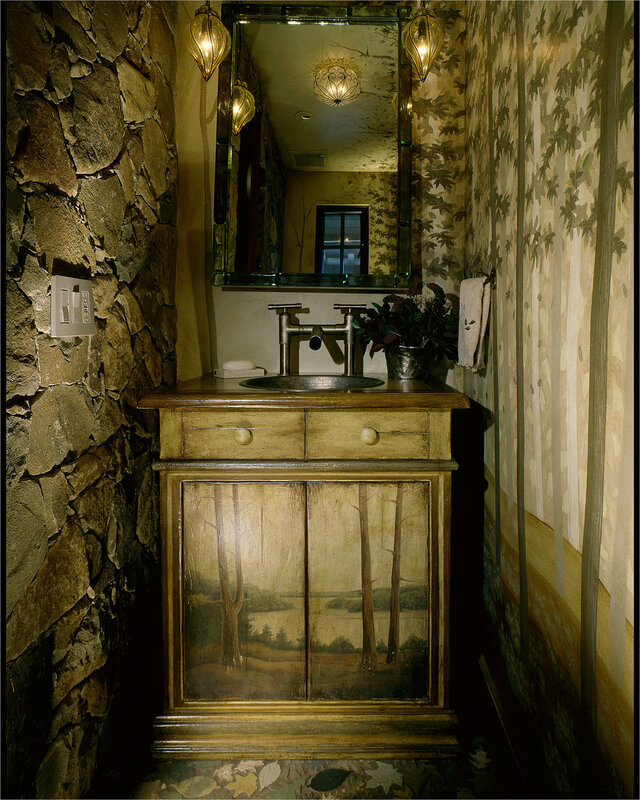 The Master Bedroom was done very much like a farm house would have been – cozy and intimate, with a large fireplace. 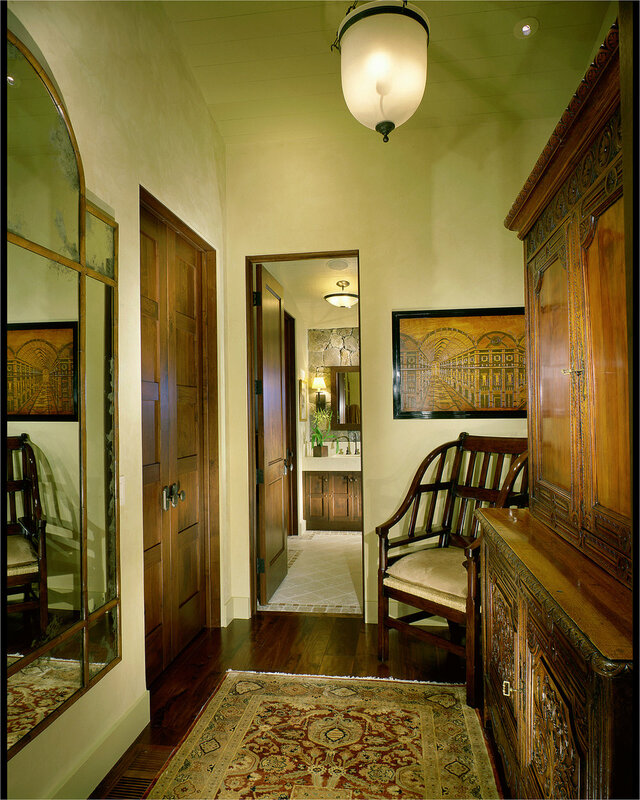 To accentuate the effect, we chose an elegantly carved four-poster bed and draped it in Italian fabrics. Overall, the residence serves the family well by creating spaces for each group of family members to reside separately and to congregate as a large group where they enjoy many meals highlighted by some of the worlds best wines.